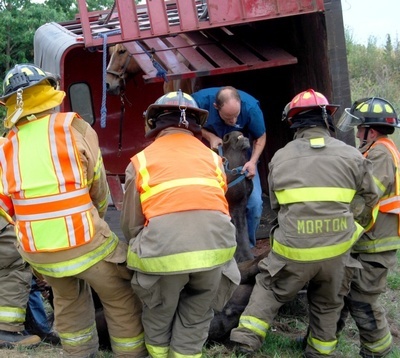 The Oregon Horse Council is excited to bring back to Oregon the 2-day Awareness course in Technical Large Animal Emergency Rescue (TLAER). These sessions are taught by world-renowned expert, Dr. Rebecca (Gimenez) Husted. This course will also be offered in Hermiston (June 19-20) and Wilsonville (July 25-26). WHEN: Tuesday & Wednesday, April 9-10, 2019; 8 am-5 pm (must be able to attend both full days) and includes a continental breakfast, lunch, and snacks. WHERE: Benton County Fairgrounds, Corvallis, OR. A portion of this course will be outside (if raining in a covered area), but the majority is in a classroom setting. Dress casual and comfortable! Oregon Horse Council members automatically receive a $25 discount.